People follow celebrities and everything they adopt their fashion, hair style, hair color, handbags, shoes etc. People noticed each and everything of their favorite celebrities and try to copy them to look like their favorite celebrities. Now days, nail art is also the part of fashion and many celebrities fancied their nails by using different accessories, stickers and much more. Nail art of celebrities like Ketty Perry, Lilly Allen, Rita Ora, Mollie King, Jessica Alba, Pixie Geldof are very famous among their fans. Celebrities adopt the nail art mostly for their music videos, or for award functions. The images of celebrity nail art are shared on Instagram, or other social network with their fans. 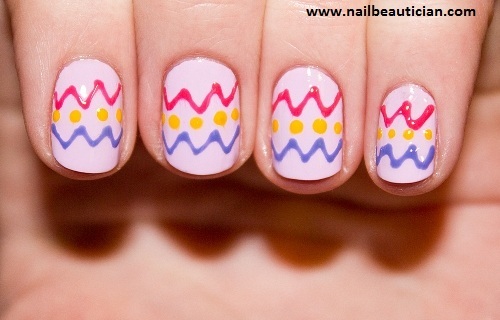 One can easily copy the nail art designs celebrity use on their nails. Mostly celebrities use the darker shades of nail colors on their nails, because dark nail colors provide young look. Ketty perry use nail art in her music videos and it is very popular among the young girls. Some celebrities follow the event for doing their nail art, while others keep their nails covered with transparent nail color. French manicure is common in casual routine of celebrities. Celebrity nail arts are further categorized and named on the names of the music videos, songs and the examples are dark horse nail art, rihanna nails, katty pearl nail art etc. It is not easy to do celebrity nail art without experience, because they are trickier than the normal nail arts. Different nail art tools are required for such nail arts. Thanks to the internet because one can easily search to their favorite celebrity nail art and copy the design on their nails. Just search for your favorite celebrity and see their nail art and try to copy it. Why Rihanna & Katty Perry on the Top List of most Stylish Nails? According to a recent survey, one in six adult living in US tried to copy the nail art of celebrities on their hands. 94% of the people think that Manicure is a luxury, while 54% believe that nail care is as important as hair care. 67% spend more than $400 a year on just maintaining and designing their nails. The main reason of Rihanna and Katty Perry popularity is that both of them maintain their nails according to the latest trend, and use the nail colors contrast to their outfit. They are famous for their cool and hot nail art designs. The nail art designs of Katty and rihanna are very unique and elegant. They chose the best color combination on their nails.